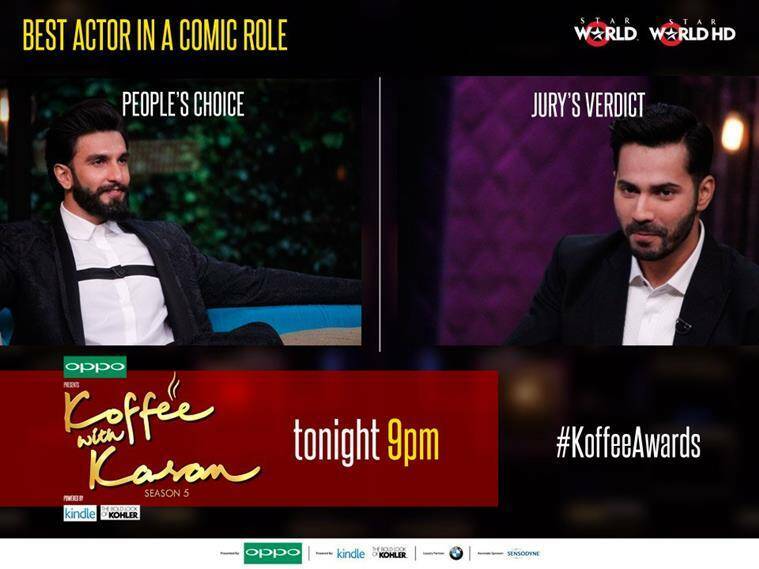 Koffee With Karan Season 5: Neha Dhupia, Malaika Arora, comedian Rohan Joshi and director Ayan Mukerji announced the Koffee Awards. 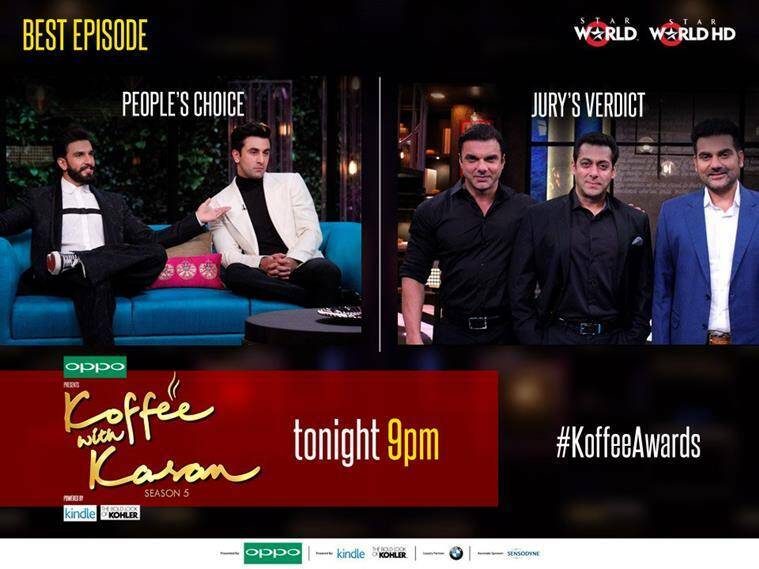 The Koffee With Karan Season 5 came to an end and actors Neha Dhupia, Malaika Arora, comedian Rohan Joshi and director Ayan Mukerji were welcomed as the jury. Karan who was hiding behind the sets of the show gave them a surprise with an empty couch. AIB comedian Rohan Joshi hinted that even during the time they got together for roast, he was sure that he was a substitute for someone who had cancelled earlier. On being welcomed on the show by Karan, Malaika began giving her gratitude speech only to be shunned by KJo within seconds, which started the hilarious beginning. She later stated she loved how the sexual under tone was maintained on the entire season 5. After a lot of arguments on who was the best and who wasn’t, the four jury members came to a conclusion about their winners. 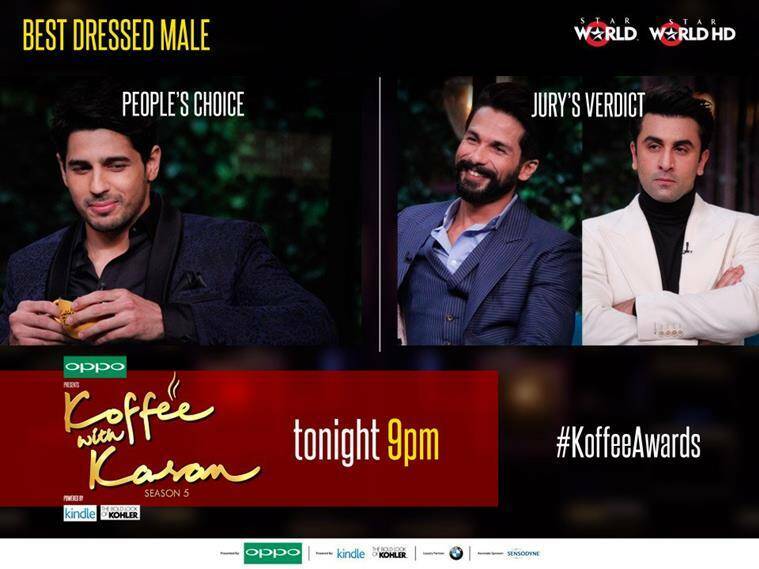 Nominees: Shahid Kapoor, Ranbir Kapoor, Sidharth Malhotra, Aditya Roy Kapur, Ranveer Singh, Varun Dhawan, Saif Ali Khan. 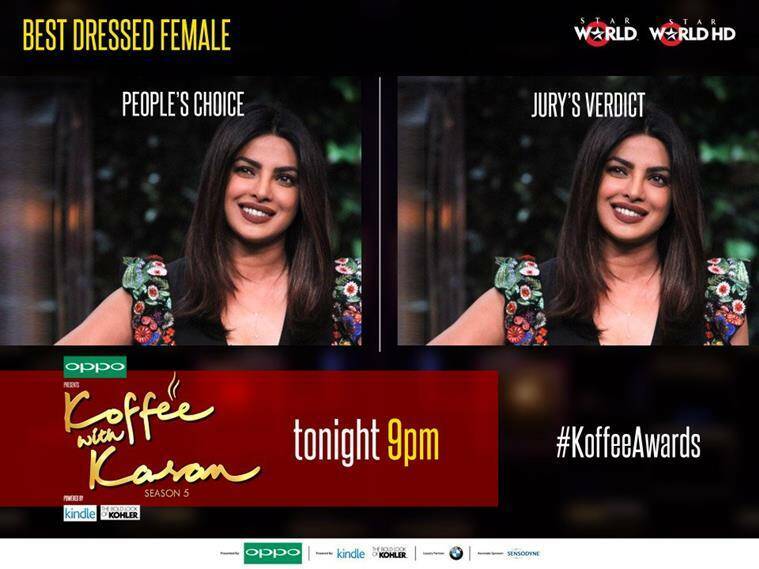 Nominees: Kareena Kapoor Khan, Priyanka Chopra, Parineeti Chopra, Sonam Kapoor, Alia Bhatt, Kangana Ranaut. Nominees: Mira Rajput, Jacqueline Fernandez, Jackie Shroff, Tiger Shroff Sanya Malhotra, Fatima Sana Sheikh, Twinkle Khanna, Sania Mirza, Kabir Khan and Kapil Sharma. Nominees: Ranveer Singh, Arjun Kapoor, Twinkle Khanna, Parineeti Chopra, Ranbir Kapoor, Jacqueline Fernandez, Varun Dhawan. 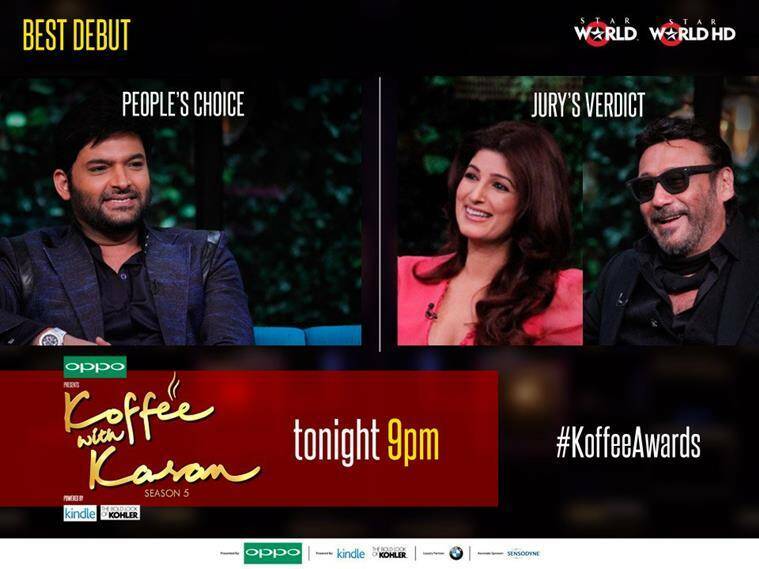 Arjun Kapoor won the special Koffee award for his multiple appearances. Kareena Kapoor Khan won the Lifetime Achievement Award for appearing with her ex-lover, Sonam Kapoor, and cousin brother, over several seasons. 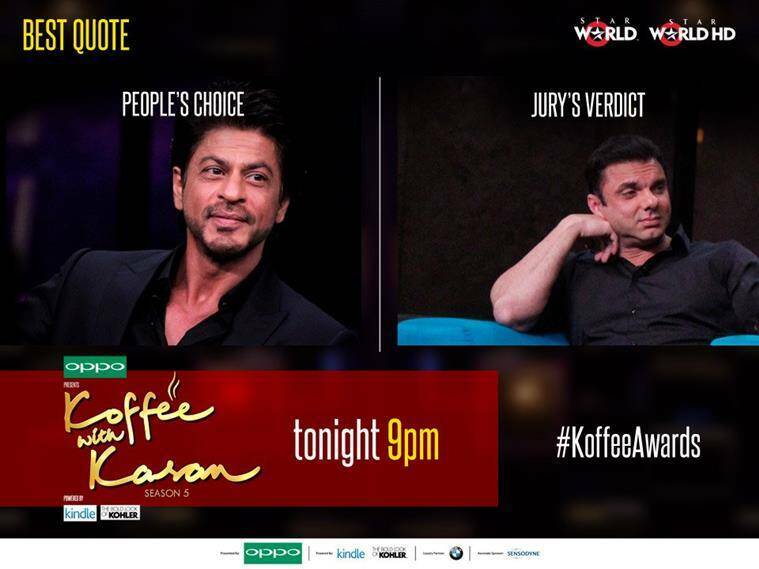 Nominee: Shah Rukh Khan, Ranbir Kapoor, Sohail Khan, Katrina Kaif, Twinkle Khanna, Jackie Shroff, Arjun Kapoor, Kangana Ranaut. 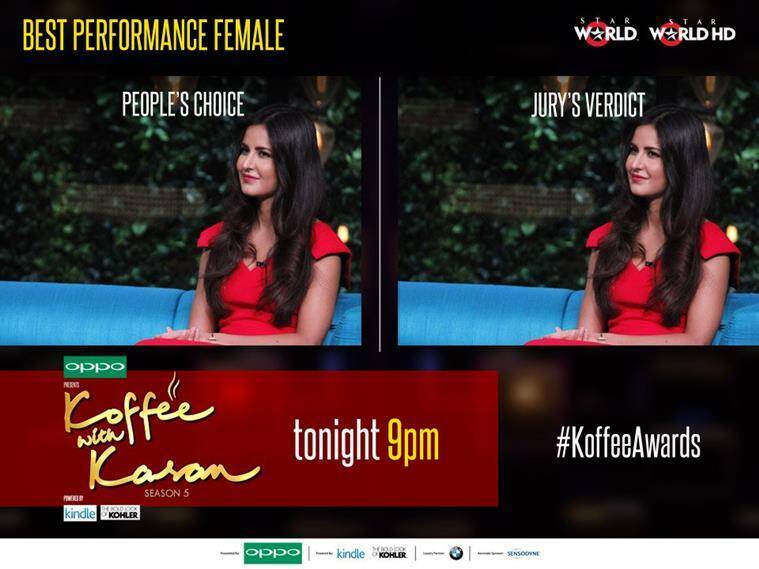 Nominees: Twinkle Khanna, Alia Bhatt, Anushka Sharma, Priyanka Chopra, Katrina Kaif, Farah Khan. Nominees: Shah Rukh Khan, Twinkle Khanna, Ranbir Kapoor, Salman Khan, Aamir Khan, Ranveer Singh. Best Episode: The Khan brothers who came on the 100th episode of the show.